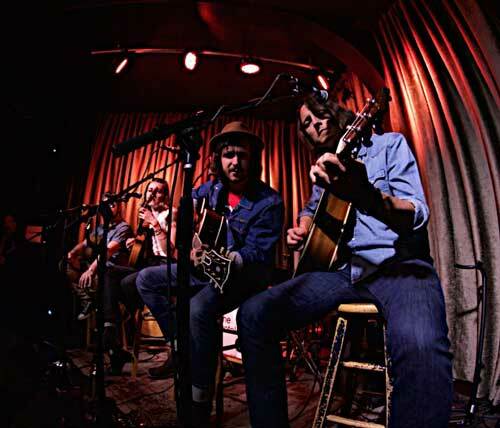 Nashville singer-songwriter Jamie Kent has played countless small and mid-sized venues — and he’s no stranger to those rooms’ hit-or-miss sound quality. So this seasoned “road warrior” takes sonic matters into his own hands by bringing a portable PA: the Bose® L1® Model II system. In between stops on the Bose Troubadour Tour, and on his way to an opening slot for Huey Lewis, Jamie stopped by the zZounds HQ to demonstrate the Bose L1 and F1 portable PA systems and explain how they can help independent artists deliver consistent sound from show to show. 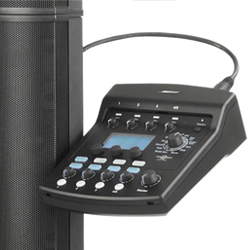 zZounds: Why is the Bose® L1® your PA system of choice on the road? 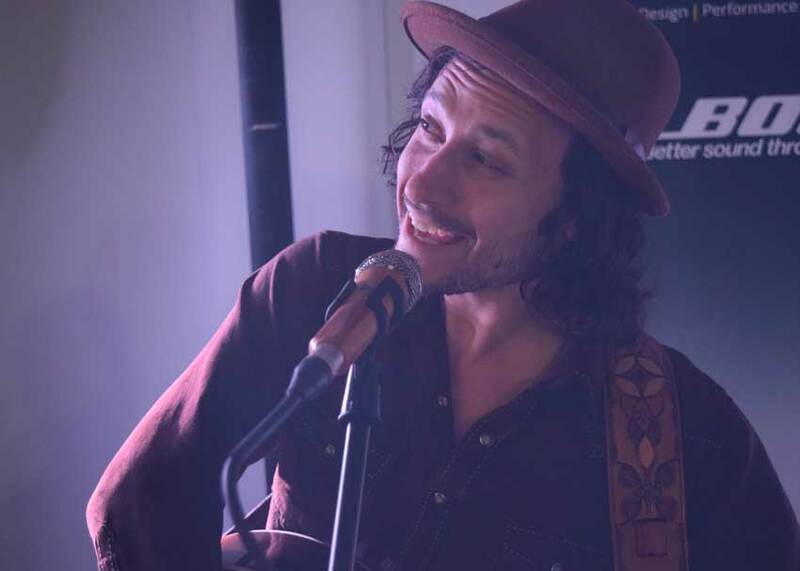 Jamie Kent: It’s such a lightweight, portable system — especially when one of the biggest problems of being an independent musician at this level is that your sound can vary so much night to night. All rooms of that size — under 300 people — run the complete gamut of quality, depending on the sound guy and on the system: sometimes it’s amazing, and sometimes it’s the worst thing you’ve ever heard! For artists at our level, it’s really the perfect system to be on the road with. Not every PA is easy to set up like this. For some reason, sound guys are resistant to the Bose systems — until they hear it. zZounds: When you show up with your own PA, are the venue’s sound engineers ever resistant? Jamie Kent: Absolutely. For some reason, sound guys are resistant to the Bose systems — until they hear it. And then they’re like, “Oh. Whoa.” I can’t tell you how many sound guys are like, “They’re just a headphone company; they make SoundDocks.” I’m like, “No, this is pretty legit.” And then you put it on, and they’re like, “Whoa, I didn’t realize…” I think certain sound engineers view it as competition, because it can eliminate their job. But then, other sound engineers, if they’re getting hired to do mobile gigs, they think, “This could be my new system.” And they end up buying it. zZounds: Bose makes the three different L1 systems, and now they make the larger F1 system. You play in a lot of different situations — so which system do you typically bring out? Jamie Kent: I personally gravitate toward the L1 Model II, most of the time. For me right now, at my level, it can really be used in just about every size venue. If it’s me solo, it’s great: I can get loud, or keep it quiet. If I’m doing an acoustic trio, we can all fit on the T1 ToneMatch® mixer. You can even play with a band. I know the L1 Model II wasn’t initially intended for reinforcing full bands, but it works out great in a room where you’re not miking the drums. You need to have a drummer that can play to the room and doesn’t get too loud. If you have a drummer that plays too loud, then you can’t push the vocals quite enough through the L1. But if you have a drummer that can play to the room, it works out great. If you’re playing a theater with a big PA system, the L1 will sound way better than any monitors on their stage. So you can set your sound, set the monitor you like, and then send it out to the front-of-house mixer for them to use. So I really think the L1 Model II can be used in almost every setup. zZounds: How about using multiple L1 systems? Jamie Kent: I’ll typically bring two if it’s a big room, just to make sure the sound disperses out there. If it’s a smaller room, but we need more inputs than a single ToneMatch, then we’ll bring just one L1, but with two ToneMatches. zZounds: And do you usually bring the B2 bass module? My upright bass player is actually a big gearhead, and he now uses an L1 system as his bass amp. He thinks it’s the greatest tone he’s ever gotten. Sometimes we have three systems on stage, because he’s using it as his bass amp and he wants his own! zZounds: Do you usually attach a ToneMatch to your mic stand, or attach it to the L1 tower? Jamie Kent: I used to just set my ToneMatch on top of the bass module because I didn’t realize the bracket was included! But the ToneMatch comes with the bracket to attach it to the tower, and there’s an optional bracket so you can attach it to your mic stand, too. It comes with a pretty long cable, so if you’re within 10-15 feet, it’ll fit. 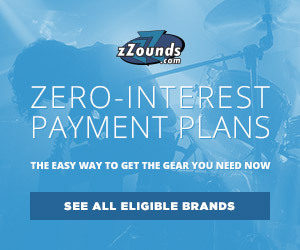 zZounds: What are your go-to ToneMatch settings? 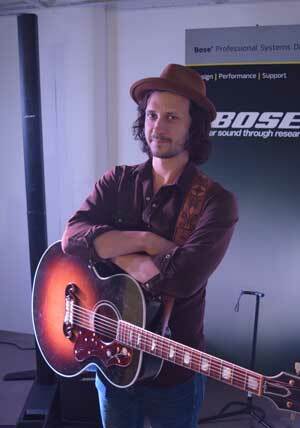 Jamie Kent: I typically use a bit of slapback tape delay on the vocal. I use a touch of reverb on the guitar and vocal — usually plate reverb, and only about 15% in the mix. I’ve started recently using just a little compression on my guitar, and that actually opens it up pretty well, which is cool. 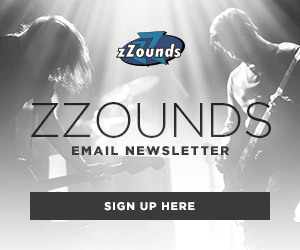 zZounds: Just acoustic guitar — no crazy pedalboard in your rig? Jamie Kent: No crazy pedalboard. I use an LR Baggs Venue DI pedal, but it’s mainly for the boost switch and tuner, because you’ve got the EQ on the Bose ToneMatch already. There’s actually a tuner and a mute button on the ToneMatch, too, so if you’ve got the ToneMatch on your microphone stand, then that changes the game a little bit. zZounds: Are you using a ToneMatch preset for your vocal mic? Jamie Kent: I use a Telefunken M80 microphone, and there’s not a Telefunken preset on the T1 yet. For my Telefunken mic, the closest one I found was the Audix OM5, so I’ll set it to that and then peel off a little of the high end and low end. By the way, Bose does ToneMatch updates, and you can download update packages from the Bose website — not a lot of people know that! One they did was a Gibson Acoustics package — so you can select “Gibson SJ-200” to get EQ settings for your guitar. You can still go in and tweak accordingly if you like it a little different, but it’s a great starting point. zZounds: Have you ever run up against the limits of the L1’s output, or had a situation where you wished it was more powerful? Jamie Kent: I’ve done a couple of private party wedding venues where it’s a noisy, rowdy crowd. When the room volume goes up, and my drummer gets louder, then I try pushing the vocals to keep up with that, and the L1 can start to feed back because it’s behind the mic. So that’s when the F1 really comes in. When you’re at the end of the crowd range of 300-500 people — and it’s not a listening crowd, it’s a dance crowd — that’s when it’s time to switch to the F1 system. If I’m playing a show and it’s a dancing crowd, and it’s a louder room vibe, and the L1 can’t quite push it to where I need it, that’s when I bring in the F1 and switch the L1’s role to be a monitor. And it’s great using the L1s as sidefill monitors, because the sound quality you’re gonna get out of them is a hundred times better than what a normal monitor would be. I like the combo of the F1 as mains and the L1 as monitors. But right now, I don’t like pulling a trailer, and I can fit the L1 systems perfectly in the band van. The portability aspect is good! “Van Tetris” is a game we always play, and being able to fit four small pieces is a lot easier than two huge pieces. Once we get to the point where we have to tow a trailer, then I’ll probably bring the F1s, and do that combo. If I’m playing a show and it’s a dancing crowd, and it’s a louder room vibe, and the L1 can’t quite push it to where I need it, that’s when I bring in the F1. zZounds: You did an L1 Compact demonstration for us here at the zZounds HQ. Do you ever play out with the Compact? Jamie Kent: Today was my first time using the Compact! Isn’t that crazy? It is really cool; the fact that you can set it up that quick. If you’re just solo, it is great. For the singer-songwriter doing restaurant or small bar gigs, that’s perfect, because it really is just plug-and-play. The price point on ’em is really good, too. I’m lucky — I’m spoiled that I get to use all the full-size L1 systems, so I’m not going back. But if I was grabbing one to play solo in small rooms, I would totally grab a Compact. It sounds great. Bose Troubadour Tour artists Jamie Kent, Megan Slankard, Matthew Szlachetka and Jeff Campbell at the Hotel Cafe, March 24, 2016. Photo credit: @Methodman13 for BlurredCulture.com, ©Derrick K. Lee, Esq. zZounds: Any stories about really unusual venues? What’s the weirdest place you’ve ever played with the L1? Jamie Kent: Well, we’ve played on a boat! We were on the “rooftop” of a riverboat — on the deck, outdoors, for about 150 people. It was a long, narrow venue, but because of the dispersal, the L1 reached everybody. The L1 is great for house concerts, too, and that’s a growing thing for singer-songwriters. Pretty much any shape of a room, it’ll do well in. The one piece of advice I give people is, the L1 doesn’t do the best when it’s in a 90-degree corner. You can get some phasing things happening. So if you’re playing in the corner, instead of sticking it in the corner, just put it on one of the sides, because it’s still going to reach everybody. zZounds: I’m curious about your song “Changes.” I saw you’ve got two versions out: the one you released in 2012, and then a more recent version off the Embers & Ashes EP. What’s the story behind those two tracks? 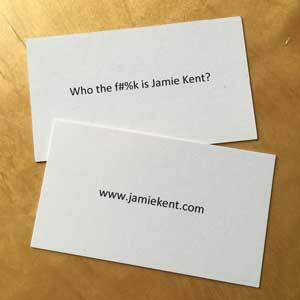 zZounds: Finally, I’ve got to ask about your “Who the F is Jamie?” business card. What’s up with that? 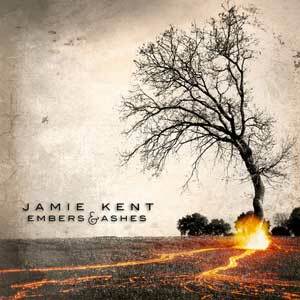 Jamie Kent: Well, I’ve played a lot of big shows, and I have a lot of amazing fans. But I’m not a household name, yet! So I’ll meet random people on the road, and they’re like, “You’re in a band, aren’t you? What’s your name?” So I’ll give ’em the card. So many people have business cards that are all, “Oh, check out my music.” But this one makes you curious. It’s a simple question…I hope that one day everyone knows the answer. But for now, one show at a time.